This gift from Mr. MVP comes from an antique dealer who said it was from Mexico. 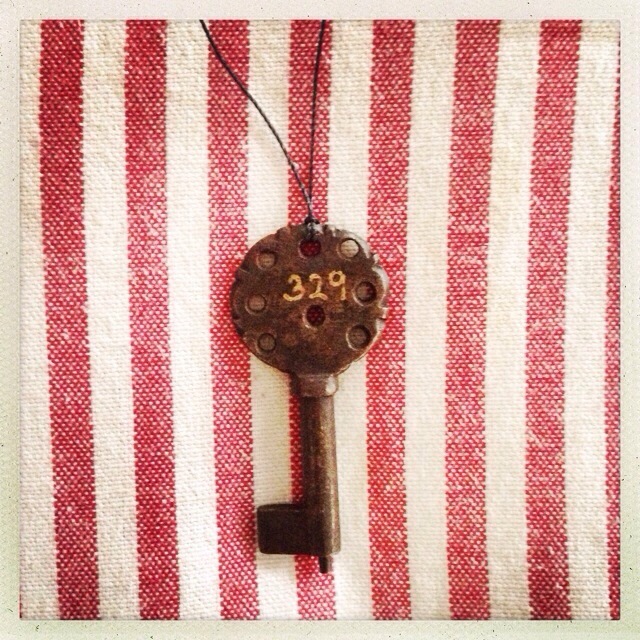 It’s marked 329, so it’s more likely a mailbox or front door key than one used to open a hidden trunk filled with books and letters. 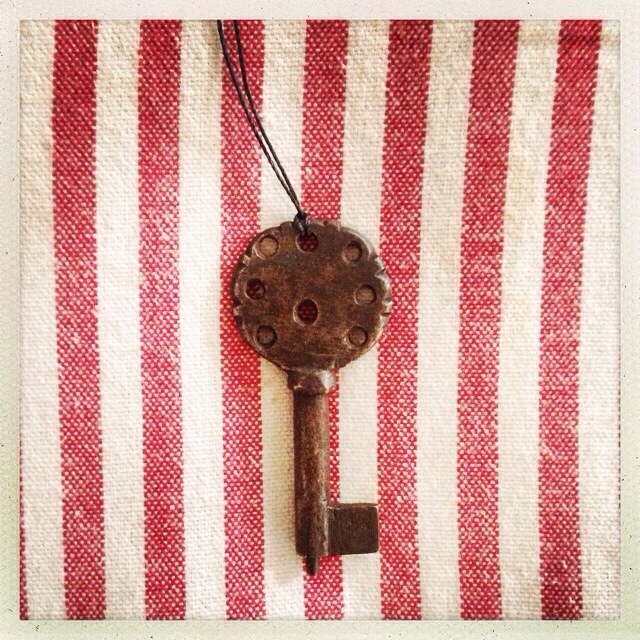 I have a thing for old keys and this one feels like it can unlock treasures. Home is where the heart is? Then I am in NY today, as I am every year on this day. 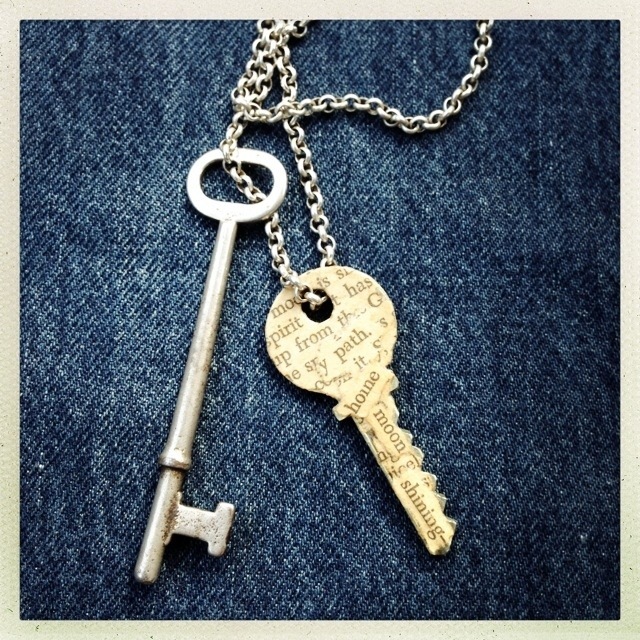 I am wearing this key from my old New York City apartment covered with words from an old book. 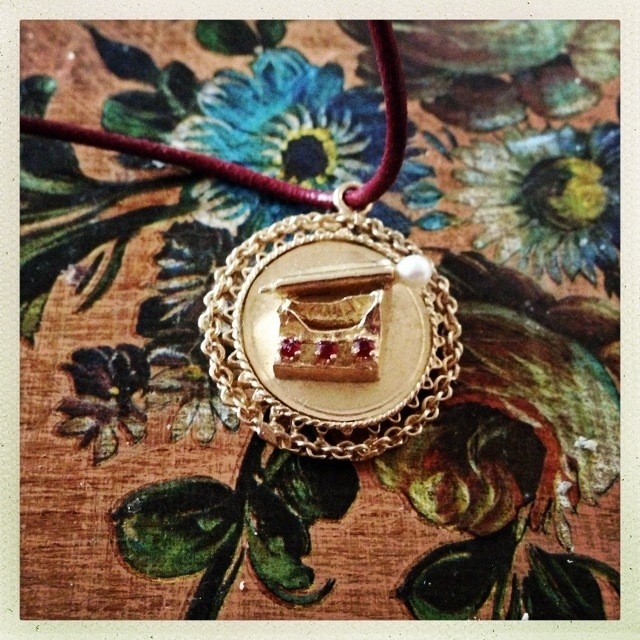 I have always loved the idea of a good luck charm, even if I have not always been inclined to believe in luck or fate or things that cannot be explained by science. 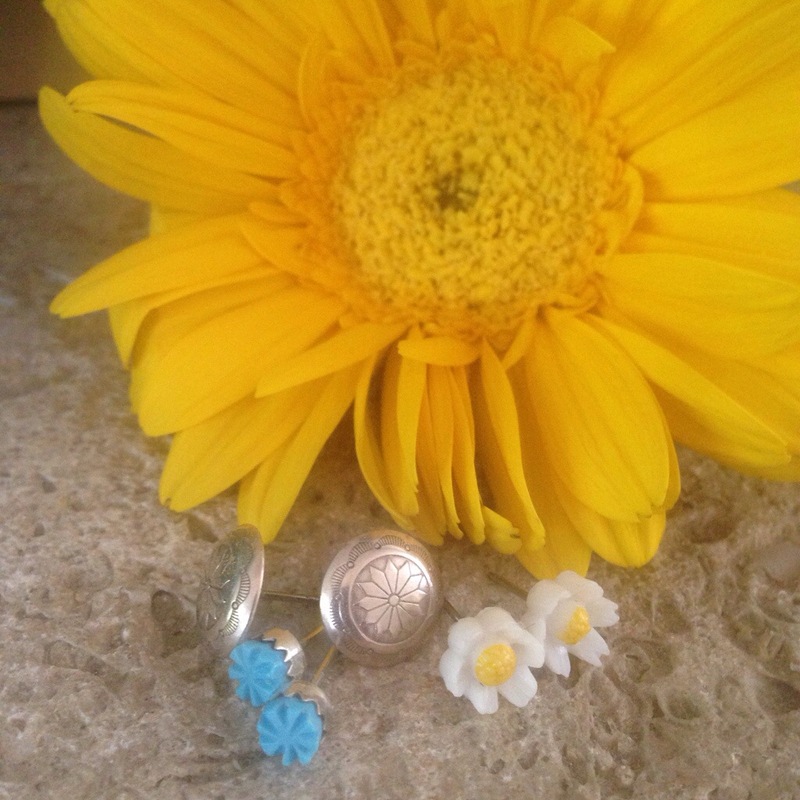 Still, I love charms and trinkets with a history, and my mother has passed on many charms from the jewelry box I loved to open and explore when I was a kid. 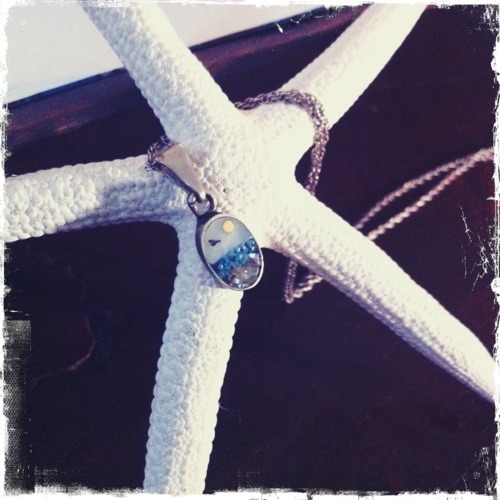 This typewriter charm was one she received when working her first job; engraved on the back is the message, “Good luck from accounting.” I wore it recently for a job interview–and got the job. For as long as I can remember, my mom has been a confidence-booster, so it might be that I reached for the charm that day seeking luck. I’m glad I did. 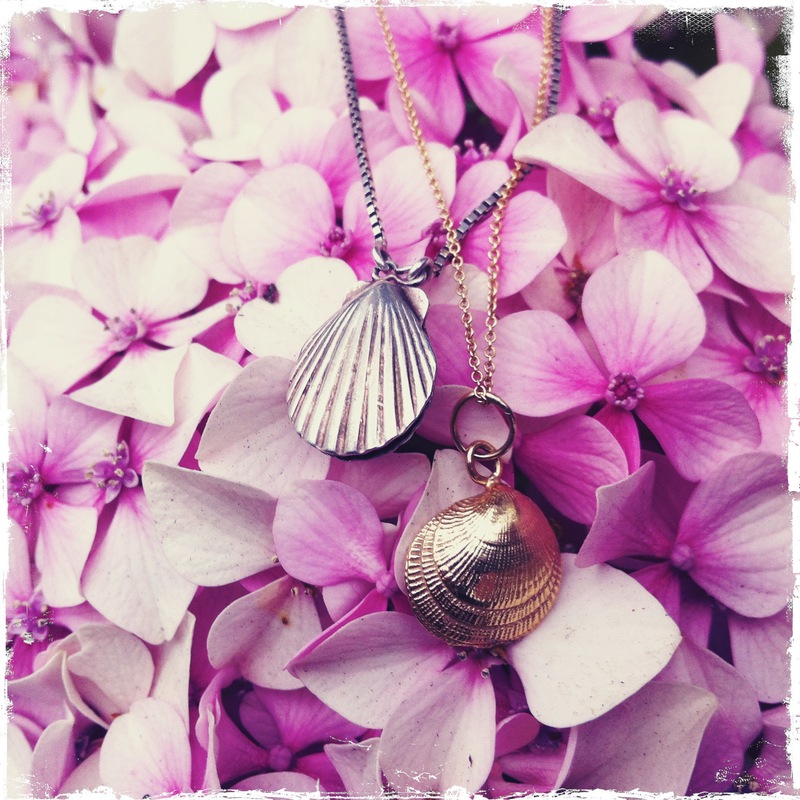 I’m marking the first day of Summer by wearing my shell charm necklaces; the gold one is from Helen Ficalora and the silver one was found in an antique shop. 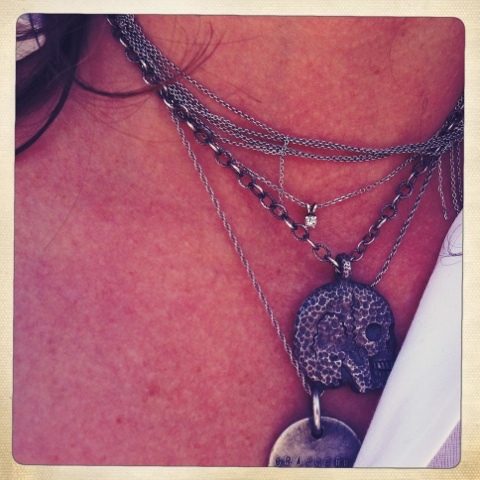 I pull out the skull when I need to feel fierce. It works. My favorite vintage items are the ones that I’ve had before they were vintage. I’ve had this beach scene charm since I was a kid. 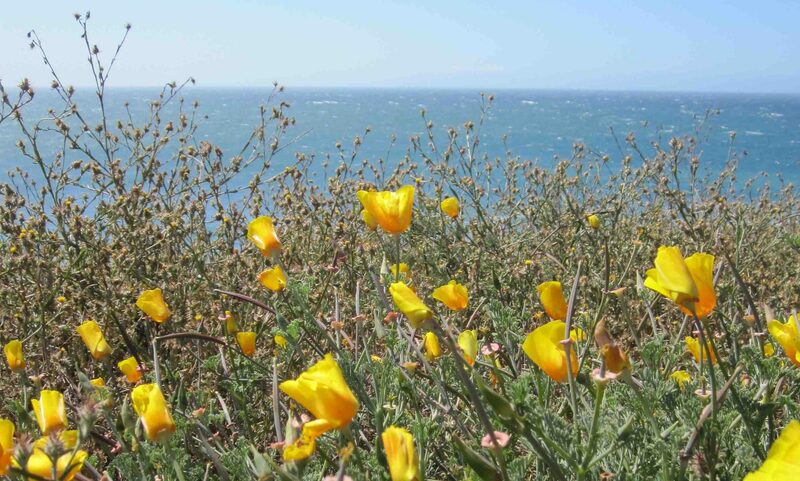 Closing my eyes and picturing the beach is the trick I use to calm myself. This is like wearing my zen place around my neck.